This authoritative book introducing Karl Barth is written by leading scholars of his work, drawn from Europe and North America. They offer challenging yet accessible accounts of the major features of Barth's theological work, especially as it has become available through the publication of his collected works, and interact with the very best of contemporary Barth scholarship. The contributors also assess Barth's significance for contemporary constructive theology, and his place in the history of twentieth-century Christian thought. The Companion both sums up and extends recent renewed interest in Barth's theology, especially in English-speaking theology, and shows him to be once again a major voice in constructive theology. 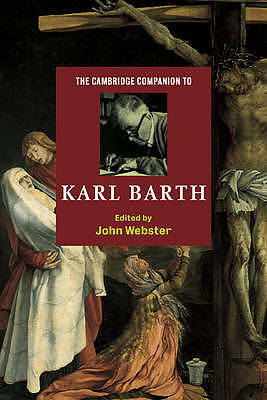 The Cambridge Companion to Karl Barth by John B Webster was published by Cambridge University Press in October 2000 and is our 37542nd best seller. The ISBN for The Cambridge Companion to Karl Barth is 9780521585606. Be the first to review The Cambridge Companion to Karl Barth! Got a question? No problem! Just click here to ask us about The Cambridge Companion to Karl Barth.